We depend on electricity constantly, and when the power goes out in a storm, or there's a tripped breaker or another problem in an electrical circuit, understanding the basic components of an electrical system can help you get things running again. It's also important to know who is responsible for what portion of your electrical service. The utility company handles the line portion of your service, which includes everything up to the attachment point on your house. From there, it's called the load side, and everything on the load side is your responsibility. Your home's electricity starts with the power service. This is where the electric company connects their wires to your home's feeder wires that attach the meter to your house or power pole. 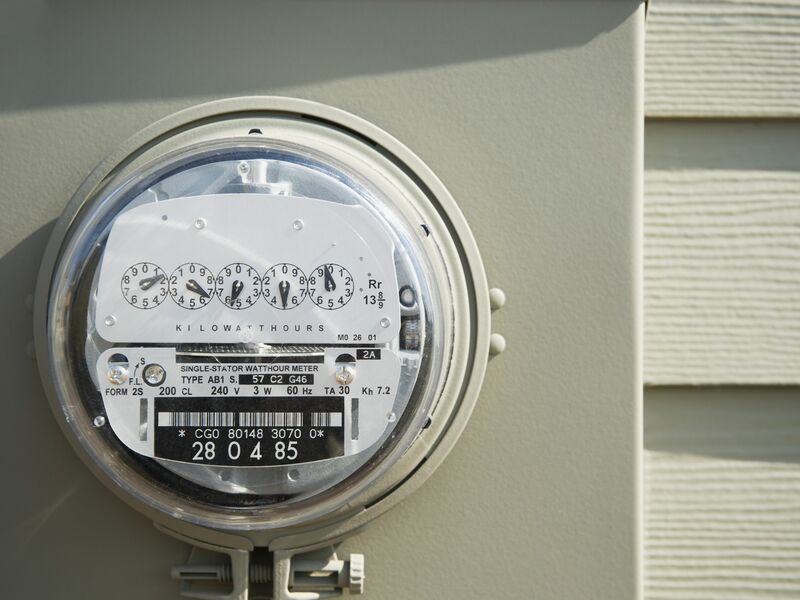 The meter measures the amount of electricity your home uses and is the basis for the charges on your electric bill. A disconnect switch is mounted on the outside of your home close in proximity to the meter on the outside of your home or power pole. The advantage of having a disconnect switch is for safety. In the event of a fire or flash flood, you can shut the power off from the outside of your home versus having to enter a burning home or a flooded basement. The other instance has a transfer switch in which you can switch between live power and a generator for backup power. The service panel contains a large main breaker that is the switch controlling the power to the entire panel. It is sized according to your home's usage, or load, needs. A standard panel today provides 200-amp service. Older panels were sized for 150, 100 or fewer amps. The main breaker of 200 amps will allow a maximum of 200 amps to flow through it without tripping. In a tripped state, no current will flow to the panel. The main breaker is the interrupt between the utility service and the branch circuits of the panel. After passing through the meter, your electrical service feeds into your home's main service panel, commonly known as the breaker box. The feeder wires connect to big screw terminals, called lugs, inside the service panel, providing all the power to the panel. A typical home has single-phase service consisting of an “A” phase, a “B” phase, a neutral and a ground. The breakers for the branch circuits fill the panel (usually below) the main breaker. Each of these breakers is a switch that controls the flow of electricity to a branch circuit. Turning off a breaker shuts off the power to all of the devices and appliances on that circuit. If a circuit has a problem, such as an overload or a fault, the breaker automatically trips itself off. The most common cause of a tripped breaker is a circuit overload. If you're running a high-demand appliance, like a vacuum, toaster or heater, and the power goes out, you've probably overloaded the circuit. Move the appliance to a different circuit and reset the breaker by switching it to the ON position. If the breaker trips again—without the appliance plugged in—you must call an electrician. There may be a dangerous fault situation in the circuit. Devices are all the things in the house that use electricity, including switches, receptacles (outlets), light fixtures and appliances. Devices are connected to the individual branch circuits that start at the breakers in the main service panel. A single circuit may contain multiple switches, receptacles, fixtures, and other devices, or it may serve only a single appliance or receptacle. The latter is called a dedicated circuit. These are used for critical-use appliances, like refrigerators, furnaces, and water heaters. Other appliances, such as dishwashers and microwaves, usually are on dedicated circuits, too, so that they can be shut off at the service panel without interrupting service to other devices. This also reduces the incidence of overloaded circuits. Switches are the devices that turn on and off lights and fans in your home. These switches come in many different styles and colors to suit your design needs. There are single-pole, three-way, four-way, and dimmer switches. Their purpose is to alter the flow of current to your lights and fans in a home. Electrical outlets are used to plug portable devices into. Televisions, lights, computers, freezers, vacuums, and toasters are all good examples of devices that can be plugged into an outlet. Outlets consist of a hot feed, a neutral and a ground. Some outlets are used especially for wet areas. Your home’s wiring consists of romex, BX cable, or wiring concealed in conduit. Romex is a brand name for a type of plastic insulated wire. The formal name is NM that means non-metallic sheath. This is suitable for use in dry, protected areas (inside stud walls, on the sides of joists, etc.) that are not subject to mechanical damage or excessive heat. Bx cable is known as armored cable. Wires are covered by aluminum or steel flexible sheath that is somewhat resistant to damage. Single strands of conductor wire are pulled through a conduit that is the safest method for wiring for durability purposes. These different types of wiring carry electrical current from the panel to the device being fed. Wiring is sized according to the load demand required. Check the rated required load requirements marked on each device to determine the needed size wire to carry the needed load.